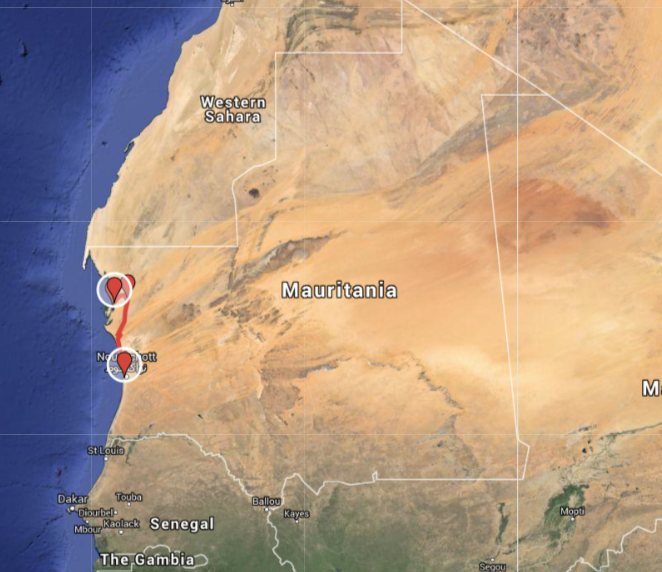 The journey begins in Nouakchott, the capital of Mauritania, and the nation’s largest city. 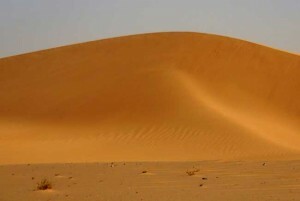 The name means “place of the winds” and blowing sand often seems to give the blue sky a slightly beige tint. It is a strange capital, without a distinctive architectural style or visual unity. That lack is easier to understand once we realize that it was just a small village until 1960, when it became the capital of the newly independent nation. Nouakchott was chosen because it was physically in the middle of the country, and so represented a kind of symbolic unity for the young state. Starting out as a sleepy administrative capital, it quickly grew larger than planned. 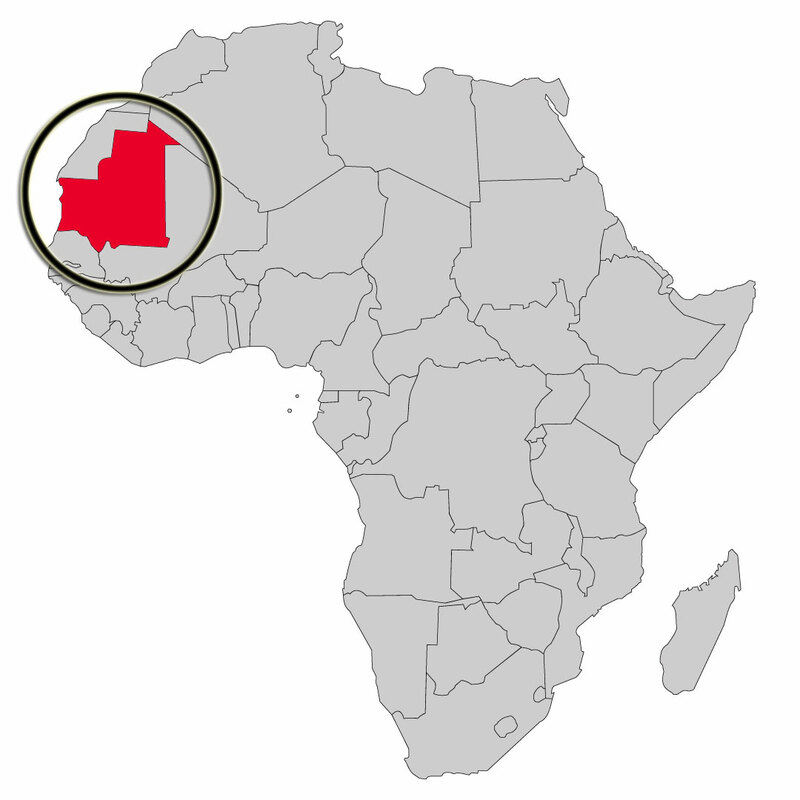 The population exploded during the 1970s when Mauritania was hit with severe droughts devastating the rural countryside where farmers and nomadic herders depended on small agricultural holdings and livestock to survive. Desperate families flooded into the capital expanding the perimeter of the urban center out along the edges. Over time the newcomers were absorbed into the fabric of a growing city. As we drive along the tar road heading north, it is hard to tell where the city limits end. Nomadic families have set up tents and more permanent structures in a semi-inhabited sprawl that spreads into the desert. People continue to gravitate here, some out of need, others out of ambition. 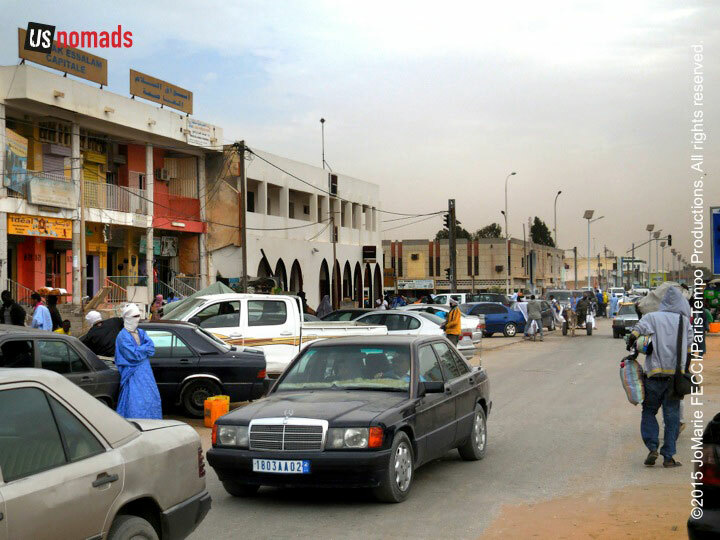 Under its dusty desert veneer, Nouakchott is a vibrant hub of activity, and a place where all levels of society intersect. Rich walled compounds are within a few blocks of poor cement block single room houses. Camel herders bring their animals to the edge of town to sell fresh camel milk to urban residents. The centers of government and culture connect with the masses here. And there is just a little bit of chaos in the streets, where despite traffic signals and roundabouts, drivers don’t always mind the rules and sometimes turn the wrong way into a traffic circle to make a quick left. The impression is of an energetic capital, on the verge of economic expansion, where people are working hard to get ahead as they can. Nouakchott’s flat spread out structure means the city doesn’t really have a definitive skyline, though there are a few prominent landmarks, notably the Mosquée Saudique, and a number of tall buildings under construction, possibly hotels or office spaces. From the bustling central market area it is hard to realize that we are only five kilometers from the Atlantic ocean. 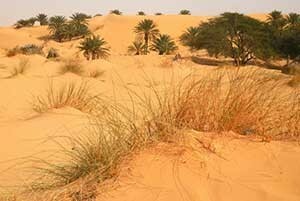 Nouakchott is simultaneously a desert and a coastal town. The Porte de Peche is the most notable touristic attraction in the city, though it is not for tourists and it is hardly an “attraction.” It is a very busy working fishing port with an almost byzantine functional structure, that at first glance seems like total anarchy, but upon further inspection reveals a well-choreographed system to get the fish from the boats to market quickly. For an outsider it is hard to understand what is going on, but apart from us, each person on the shore has a role and knows what to do. 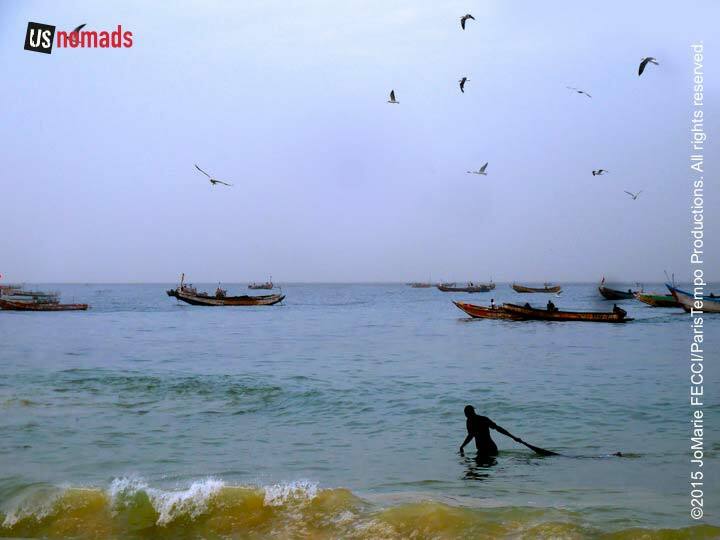 As a ship comes in, porters run out into the water to meet it, and begin the process of unloading trays and buckets of fish. Further up the beach crews stand ready to sort and process the fish, some of which will be sold at the market right there, and some of which will be dried for sale further away. The brightly painted pirogues used by the fishermen are sturdy wooden boats, about 40 feet long, and capable of withstanding an unrelenting surf that can be quite dangerous. Though today the Atlantic seems calm, we hear that it can often be treacherous and men sometimes go out to sea and never return. 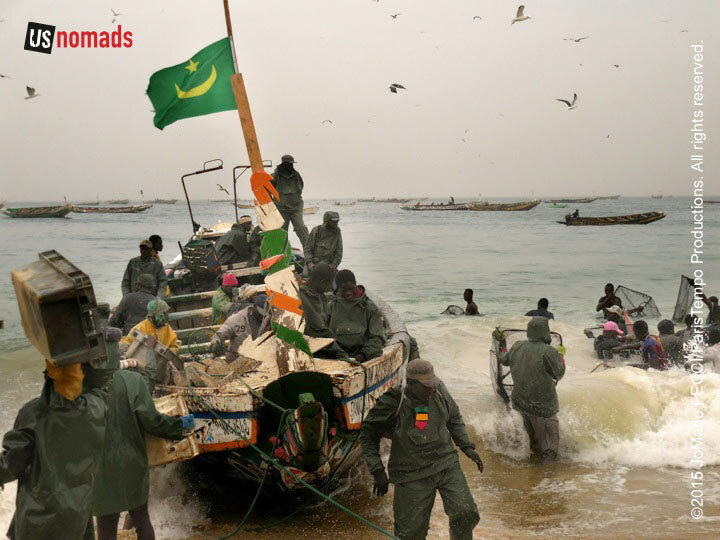 Despite the risks, small crews of mostly Wolof and Fula men go out daily to harvest the riches of Mauritania’s coastal waters. 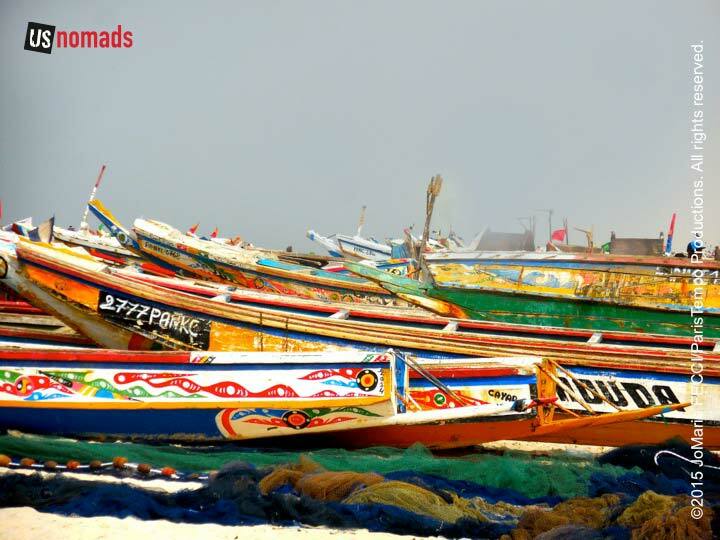 According to the BBC many of the Mauritanian fishermen are originally from Senegal or the Gambia, where the tradition of fearless fishermen is well entrenched. Sometimes the men spend the night out at sea, as that is when fish rise to the surface to feed. The work day for the fishermen is long and hard. The pirogues start to return in the early afternoon, but the peak time to see them is around 5pm. As far as the eye can see, the colorful pirogues float with nets cast, while on shore porters and traders wait patiently for their return. 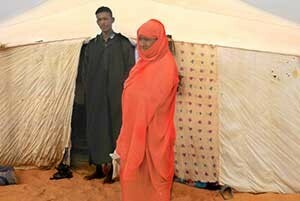 But beyond our line of vision, Mauritania’s waters are even more crowded. Commercial fishing vessels from Europe, China, Belize, Korea and Russia, and even some unidentifiable “pirate” fishing boats follow the continental ledge in search of sardines, sardinella, and mackerel. These large commercial trawlers can catch, process and freeze 250 tons of fish a day. Since the 1990s, Mauritanian waters have experienced a rapid decline of fish stocks. 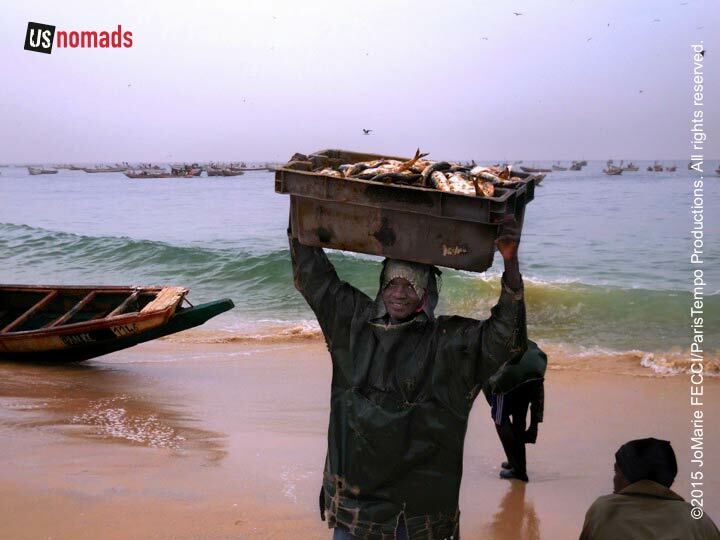 According to the UN’s Food and Agriculture Organisation, as cited in The Guardian, west African fishing grounds are over-exploited to the detriment of more than 1.5 million local fishermen. The local fishermen are forced to travel further and compete with the commercial ships in dangerous waters unsuitable for their small wooden boats. 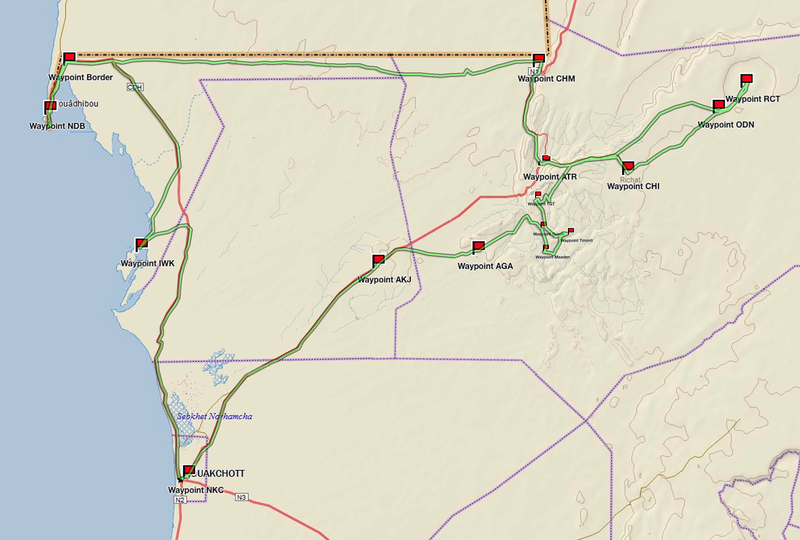 The issue is a complicated one, as licenses granted to foreign fishing companies are an important source of income for this desert state at the same time that the local fishing industry is responsible for the livelihood of a significant portion of the population in certain regions. Fishing accounts for 10% of GDP and between 35% and 50% of Mauritanian exports. It also provides 29% of the income for the national budget and generates 45,000 direct and indirect jobs, accounting for 36% of all employment, according to an EU study. It is estimated that 31% of these jobs are generated by small-scale fishing, and 12% by industrial fishing. 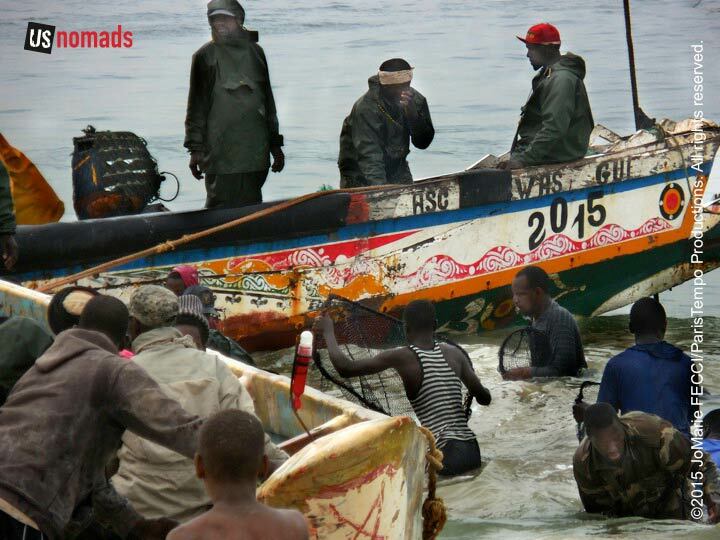 The Mauritanian government with support from various other nations and development projects has tried to establish a more effective fisheries management system to protect this important resource, though enforcement has proved challenging. Here on the shore, there is not much discussion of policy as people are too busy making a living from the sea. The boats are full of fish, and lines of porters work swiftly to unload them in perfect rhythm. No one seems to direct anything, but everyone does their job seamlessly. Independent traders rush up to the side of the pirgoues even before the porters are done, competing with each other to buy the other species of fish that were mixed in with the primary catch. They will take them to the market, where the fish are sold sometimes whole, or sometimes by the slice. The mass of people on the beach and in the adjacent market are all dependent on the water’s wealth. 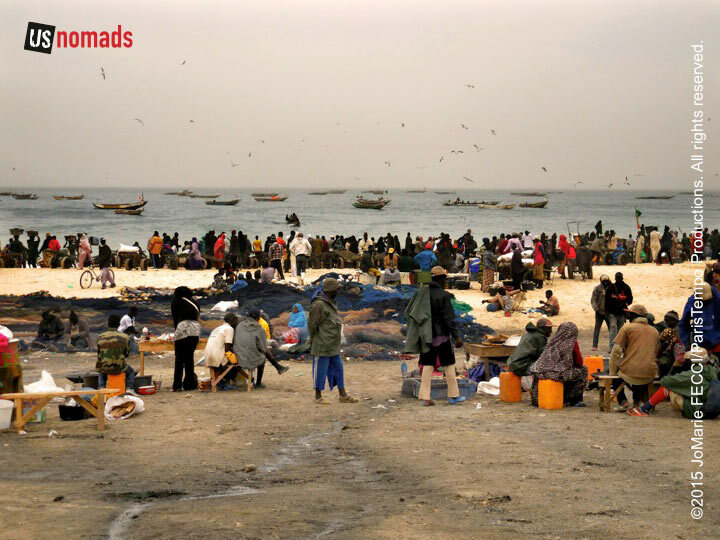 Ironically, despite the great wealth of their seas, the average Mauritanian culturally identifies with the desert heritage, so outside of the coastal area, fish is not a staple food. 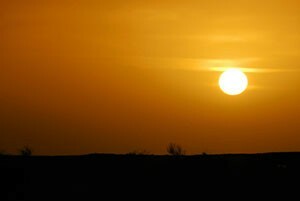 In fact, according to the EU study, the consumption of fishery products in Mauritania is very limited and has not increased despite the fall in livestock production caused by drought. The study cites the lack of a tradition of consuming fish, limited purchasing power and failure by households to adapt to preserving and preparing fish as the main reasons. 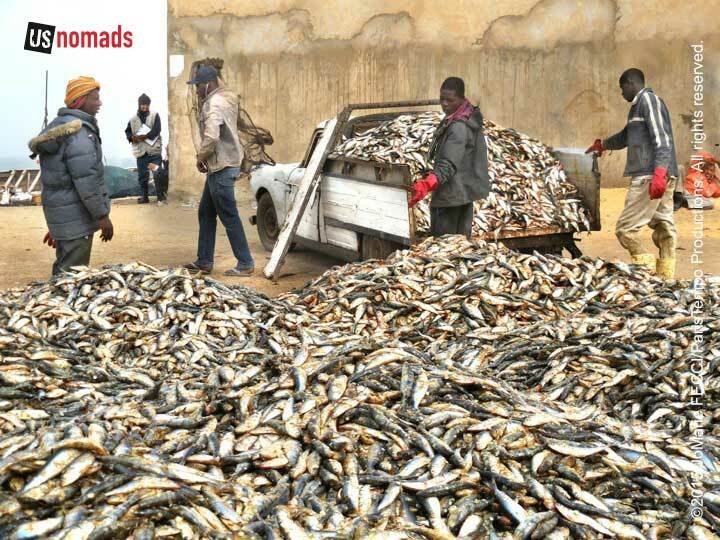 Apart from what is consumed in Nouakchott, much of the fish dried or smoked here goes to market in Senegal or Mali. 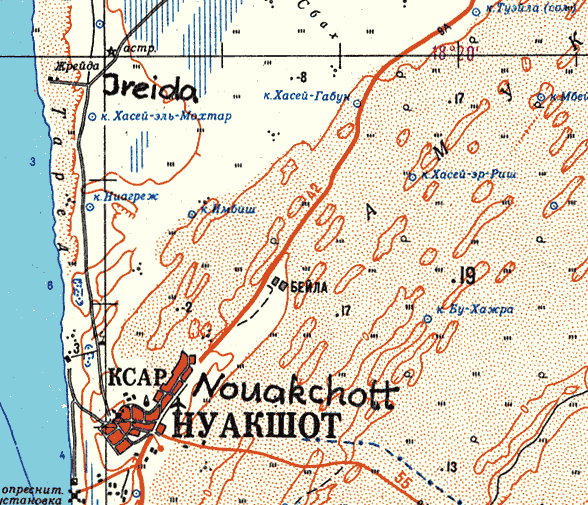 The city and its near environs are mostly flat and sandy, with the desert going right up to the Atlantic coast. The coastline includes shifting sandbanks and sandy beaches and there are areas of quicksand close to the harbour. 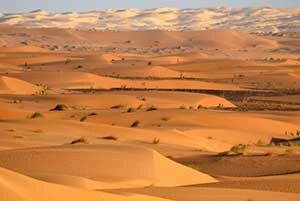 Nouakchott is endangered of being covered by sand dunes advancing from its eastern side which pose a daily problem. The wind-driven sand grains that we can see blowing across the desert, or cascading down the leeward side of the dunes, are actually the visual manifestation of how dunes grow and slowly migrate. Though beautiful to watch this is a grave concern in places where the relentless advance of desert dunes is a serious threat to habitation and agriculture. 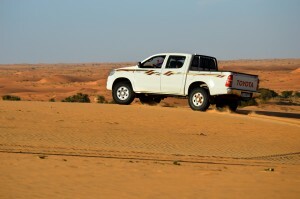 In some places dunes advance at a rate of 20 meters per year according to NASA researchers studying the issue. NOTE: This is the first in a series of segments highlighting details of our Mauritanian scouting misson. 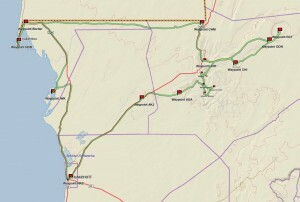 Each segment will focus on a specific location or region. All text and photos are copyright JoMarie Fecci/USnomads unless otherwise noted. If you would like to use any imagery here, please contact us for permission. The trip was conducted in January 2015 by JoMarie Fecci of US Nomads supported by a local Mauritanian crew. For more information about the team or the specifics contact us.